SF magazine gave the exploratorium “Museum Party of the Year” for 2018 so you know this place is good. There are dozens of different rooms to reserve, each with an amazing array of contraptions, artworks, experiments, and other interactive exhibits. Science is cool! Especially when there’s an open bar involved. Capacity: Pretty much as large as you want! What makes it unique: Science! From hosting concerts to art exhibits to cooking parties, the Midway can truly cater to any type of event you may want to have. They have a great website that goes into detail about each type of experience and layout they can offer for you and your coworkers. The midway also caters to both corporate events and EDM concerts, so no matter what vibe you’re going for, you can make it happen here. Capacity: Huge, it’s a giant industrial complex. What makes it unique: So many experiences to choose from. This mint, known as The Granite Lady, was fully functional until 1937, churning out about ⅓ of the nation’s wealth. Now a historical site but super cool nonetheless. They also have room for pretty much any size gathering you may want to have, so feel free to use this venue for your holiday party +1, or even more. Capacity: Actually up to 1,000 people, so go crazy. What makes it unique: I mean how many people can say they’ve partied at a U.S mint? Terra is basically an event planner’s dream. It’s sleek, spacious, and able to accomodate pretty much any event you can dream up. That being said, the event dream uping is on you, this is a beautiful space that will host whatever event or entertainment you decide to provide. It’s also right in the heart of SoMa, making it (probably) pretty convenient for your office. What makes it unique: Terra is a multi-floor venue, so you can have multiple activities or events going on at once. 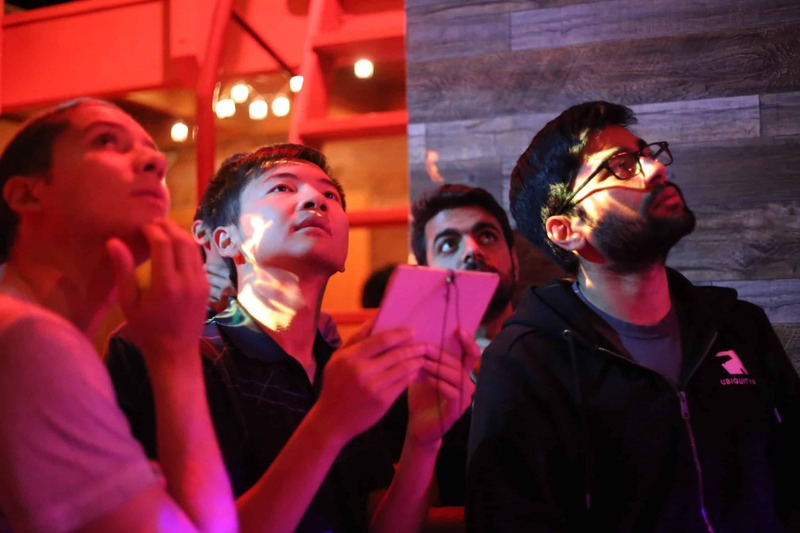 Would your event really be an SF happy hour without hosting it at a bespoke art gallery? 111 Minna showcases a unique blend of local and international artists, world-class DJ’s, live performances, and film screenings in a fun, elegant, and dynamic venue. If that isn’t trendy I don’t know what is. What makes it unique: It’s an event hosting art gallery, I mean come on. What if you could host your event in an actual winery? Like, they normally make wine there but transform it into an event space just for you? I mean that’s pretty cool, right? Bluxome is a great combination of classy and casual, with a built in sound system, extensive wine list, and accommodations for food trucks should you choose to bring one (or more) on site. What makes it unique: This is an actual functional winery! Press Club is a wine bar and lounge that offers California’s finest wines and beers in a sophisticated, social atmosphere. They have small plates if you’re feeling hungry, too. Located right on Yerba Buena, this is also a great location for all you SoMa companies! Now go get your classy on. Capacity: 20 – 500 people, depending on seating and how many rooms you book. What makes it unique: Press club is a fancy wine bar. WeWork is literally designed to play host to companies (perhaps even yours, dear reader). Sure they normally host in a long term way, but they also have amazing spaces and accommodations for events, workshops, panels, and etc. What makes it unique: we work is co-working space. Guys I don’t know if you’ve clicked the link yet, but this museum is SO SLEEK. This is more of a venue than an entertainment location in that the museum offers you their space for your own activities. You of course have access to the exhibits but be sure to take advantage of bringing in your own food, drink, and entertainment! What makes it unique: How many of your coworkers have really gone to the Contemporary Jewish Museum? I mean come on, who doesn’t want to crush their boss at Pac-Man?! Coin-op is unique in that it is an arcade for adults, so no grimey pizza handprints on the console. All you have to worry about is practicing your favorite games so that you don’t have to use the ‘ol “oh I’m just a little rusty!” excuse. Also be sure to remind people that the games take quarters! Or have the bar get some for you beforehand. 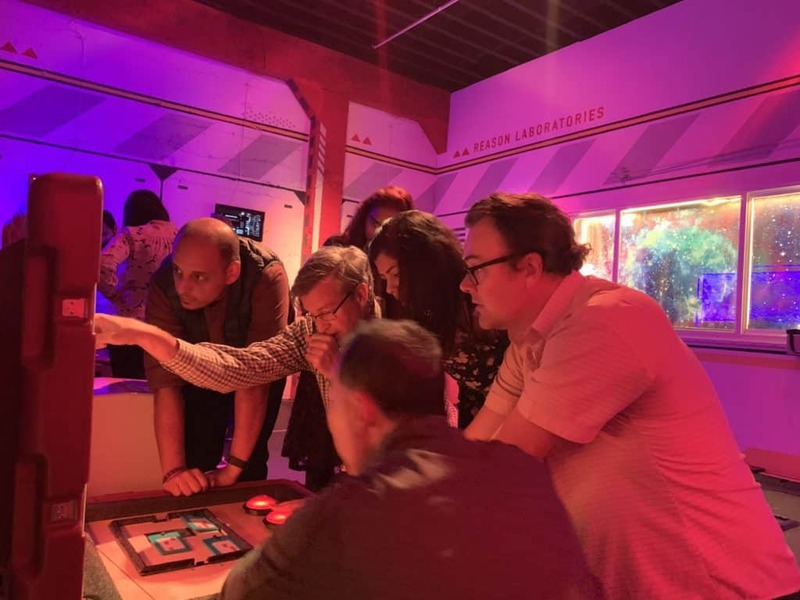 What makes it unique: Play arcade games while you socialize! Reason is a sci-fi themed escape room with lots of fun tech in each game. There are two games and an interactive event space for hosting meetings, workshops, happy hour, or a networking reception for your team. While on site, your team will also be challenged to work through puzzles in order to escape the room in time, all the while experiencing VR, 3D printing, drones, and much more. Ever wanted to venture into an exclusive members only club? What about a fancy one that has restaurants, bars, and perfectly worn leather couches? Insider tip, “We call our club THE BATTERY. It is not the “Battery Club” or shortened to just “Battery.” If we could avoid giving it nicknames like “The Batcave” or “The Batter’s Box” or saying things like, “Bros, shall we go hit up el Batterino?” that would be splendid. “ Careful to not give nicknames, it’s a sensitive topic, apparently. What makes it unique: Battery is usually a private members only club. Southern Pacific is quintessential San Francisco, from the locally brewed beers to the local history of the space itself. There’s an outdoor patio, a spacious mezzanine, and plenty of food and drinks to suit everyone’s tastes. Take your team to the heart of the mission for a classic SF brewery experience. What makes it unique: Amazing food and local beers in the heart of the Mission.